on the night of shocked, he can't say bad thing against pacquiao. he must be on the way to recovery now, the pain just starting to go away but still hurts though. oscar may want rematch to end up like morales on morales part3. He feels lucky that Manny doesn't hit hard????!!!! Look at his face and the beatdown that he received from Manny for 8 rounds, it would have been better if he was knocked-out with one punch. It would have been less painful for him physically and his wife emotionally! He could have been seriously hurt with the amount of punches he took. And by the end of the fight OLDH was rushed to the hospital & lying on his bed!!! ODLH can make all the reasons (or excuses) he wants, but the truth is he was hurt by those punches. Body language don't lie. During the fight in the middle of the 7th round, Manny nailed DLH on the left rib cage with a hard right hook to the body, DLH immediately recoiled backyards into a corner only to recieve more blows. He couldn't respond because his rib cage was hurting. DLH's body language said it all...he was hurting. That would spell trouble on May 2 against Hatton. 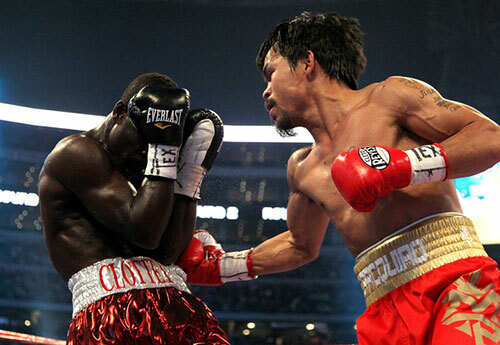 Manny's punching power is exaggerated its more on speed than power punches. Well thats the opposite what can Mosley do to Pacquiao even. Its only Pachuggers who sees thing different way like Pacquiao cannot be beaten. Instead of saying those lines, he should have say these. coz this is what happened inside the ring. Me, I always tell the truth. Even when I lie.